Want to know about the world’s largest living organism? How about the man with the third highest Donkey Kong score? Need the formula for the area of a circle? All of these things and literally every other piece of knowledge can be had with the click of a button. It’s now an age-old adage about the “information age,” a time we seemingly take for granted. But what if you want to know more about Thomas Bangalter and Guy-Manuel de Homem-Christo of Daft Punk? In a time when privacy and anonymity are trivialized, Daft Punk continue to don their masks and create music devoid of desperately appearing as though it was culled from their personal influences. 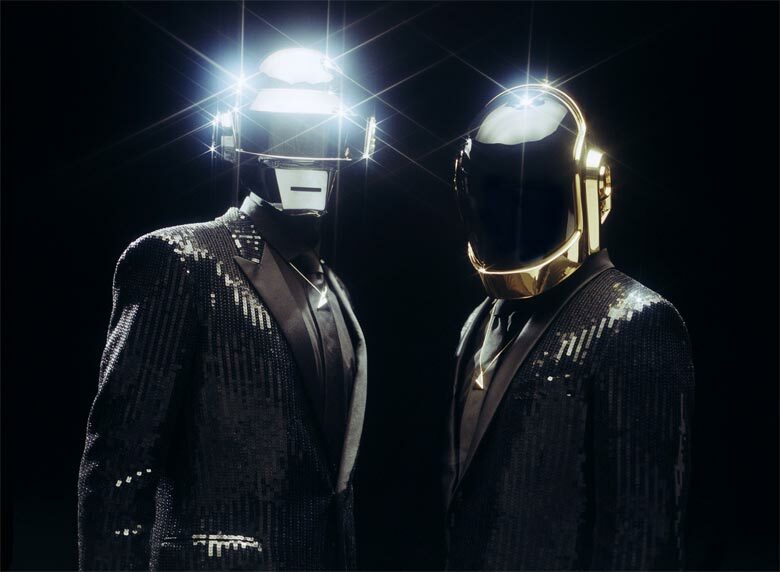 On Random Access Memories, Daft Punk’s fourth studio album, the Parisian duo turn that formula on its head, trading in their time-tested computer programs for the collected human experience. But it’s still not about their experience; it’s about our experience. When they talk of giving life back to music, it isn’t just about reaching into the past to create the future; it’s about the communal aspects of music: the experience and heartbreak associated with the sounds and its people. Random Access Memories isn’t the album Daft Punk should be making in 2013, and that’s exactly why Daft Punk created it, and why it took eight long years to master. If the series of Creator’s Project videos focusing squarely on the album’s collaborators taught us anything, it’s that the history of music can teach us more about our presence than anything being produced today. No song is as poignant in regards to that vision as “Giorgio by Morodor,” a striking dedication to and by Giorgio Morodor himself. Sharing tales of his early career and the discovery of the synthesizer, Morodor’s voice over makes for the nerdiest kind of storytelling, but it’s a window into a time when musical instruments were still being pioneered. Giorgio’s audio logs are bookended by massive synthesizer and live drum sessions, capped by a black metal-like guitar solo. It’s epic in the same kind of way as a “One More Time” or “Around the World”, relying on its sort of impeachable instrumentation to get away with the otherwise bizarre choices of having Giorgio orate most of the track. “Touch” revisits much of the bizarro disco that “Giorgio by Morodor” began to hint at, as an uplifting single in every sense of the word. From the dredging, warped vocals of the first minute emerges Paul Williams’ ineffable tone, a crystallized image of Studio 54 and the idea that maybe, just maybe, human touch can cure society’s waning morals. 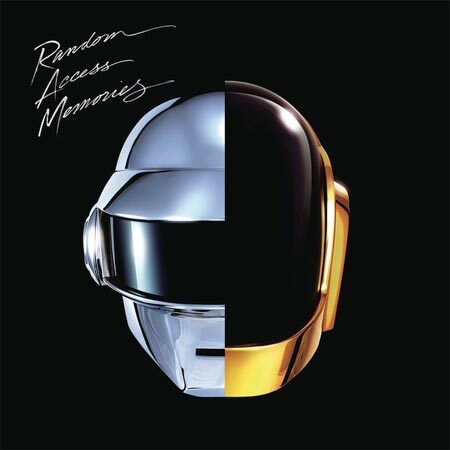 With the kiss of a guitar chord and the signature vocoded voice of Daft Punk themselves, “Touch” quickly becomes the most emotional track on Random Access Memories, the kind of antithesis to the already played out “Get Lucky” featuring Pharrell Williams. As Paul Williams and a choir of vocalists repeats the line “If love is the answer, you’re home,” Random Access Memories finally has its first spine tingling moment — the kind of mental and musical fusion that transcends time, place, and person. Play it alone at night, and you’ll surely be left curled up in a corner crying. Play it at a club and everybody on drugs will find it euphoric. But as Daft Punk make clear, it doesn’t matter the time and place for anything: love will conquer all. “Touch” is the kind of cheesy yet brilliant disco track that ultimately sheds the scary disco title after a few listens, once again capitalizing on the human element of music. “Get Lucky” and “Doin It Right” both possess the ability to become historical tracks in the Daft Punk catalogue, songs that instantly ignite a room of partygoers the same way “One More Time” does. Panda Bear’s collaboration on “Doin It Right” marks a proverbial passing of the torch in terms of experimental electronic producers, transforming the Animal Collective member from the guy who used to wear Daft Punk t-shirts into the guy who knows them personally. Not to mention the fact that his airy vocals help guide the later half of the album before Daft Punk finally touch down on “Contact”. But it all begs the question: if you’re going to profess the benefits of humility, why not finally remove the helmets? It’s obvious that Daft Punk have become sentient, so why continue to hide behind their self-created facade? It would be one thing if the robots were continuing to make their standard fare electronic dance albums, but Random Access Memories charts entirely new categories for the group. From the way they’re handling the press (Creator’s Project interviews) and advertisers (SNL TV ads), it’s obvious that Bangalter and Homem-Christo have outgrown their avatars in a practical sense. Embracing the indulgent, the personal, the timeless, Daft Punk have once again captured the ears and minds of their listeners. It’s not their best album, and possibly not even their most flamboyant, but it’s exactly the kind of music they need to be making.